Buzzy is an award-winning physiologic pain blocker, PROVEN to naturally block unpleasant sensations on contact. 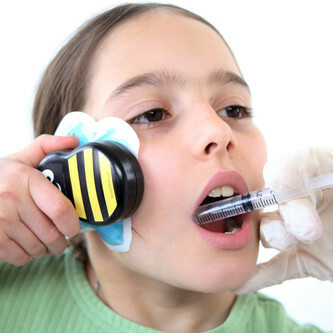 Buzzy is used for injections, drips, cuts, splinters, aches, insect bites, allergies, and the list goes on. 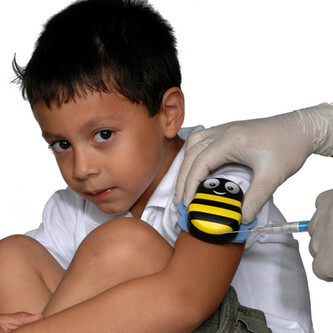 Buzzy isn’t just for kids either, it works on grown-ups too! 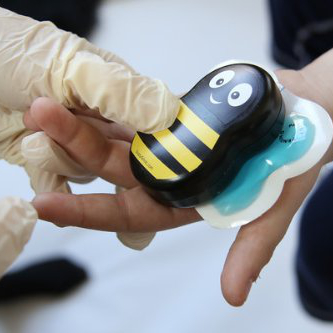 With published research and clinical trials, a huge list of testimonials, and a winner of the Medical Design Excellence Awards, Buzzy is PROVEN to work. 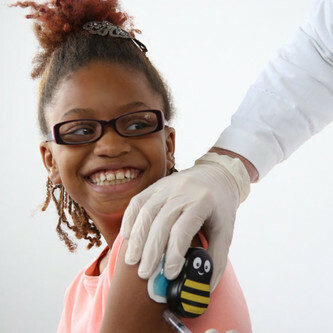 In 2012, 63% of children in USA did not get a Flu shot because of it, and a study showed that 22% of adults were scared enough of needles to take risks with their health! Are You Ready To Choose Your Buzzy? My little girl is excited for her next blood draw now that she has Buzzy. I really truly appreciate this product. I am most thankful because now I am not as afraid of my daughter facing this phobia too. Now that mommy can be brave with needle sticks, I feel better about helping her be brave too. Thanks so much for inventing this!! Today I used Buzzy on myself with the frozen wings for an Imitrex shot. I HATE Imitrex bc it burns like fire. Buzzy made it 10x better. Buzzy is the bomb.